The interior color is a Rare Space Grey Color, not many of these were made, I added the label of all the options on the label. The interior is a space grey leatherette color and a combo of granite grey plastic trimming such as the console and air vents. Here is a nice pair of used original genuine Recaro bucket seats with mounting rails as used on 1997-04 986 Boxster and 1999-05 911/996 Carrera/Turbo models. Wir sprechen Porsche! No surprises here! Factory Savanna Beige partial leather seats for a 1998-2004 Porsche 986 Boxster. These seats are NOT equipped with the factory heating function. 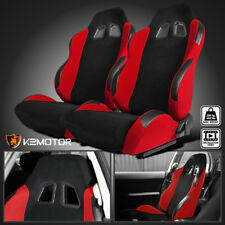 If the connector does not match, (last photo) these seats will not fit your vehicle without modification. 1998-2004 Porsche 986 Boxster leather seats. May also fit 1999-2004 Porsche 996 911 models. If the connector does not match, these seats will not fit your vehicle without modification. Fully tested prior to removal. Model: Boxster S (986). Make: Porsche. Year: 2004. All parts have been tested before removal and are OEM quality unless otherwise noted. Used parts usually have normal wear and all major flaws will be noted and pictured. Stress-free process. We are not responsible for nay labor fee associated with the installation or removal. It has normal wear of use because it is a used part. 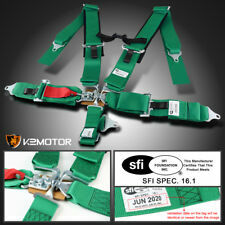 Do you want to change the broken or uncomfortable sports bucket racing seats?. Then why not take the 2pcs Left Right Reclinable Sports Bucket Racing Seats as a consideration?. Reclinable with sliders design, easy to operate. It is a USED factory original part. Lid Cover is in mostly good clean condition. hinges are broken ( however a hinge repair kit can be found on the internet). 1997-2004 986 Boxster. Reference #625. For sale is a 97-04 Boxster Black Leather Driver Passenger Heated Power Bucket Seats STAIN pulled from a 2000 Boxster. These sets are in good overall shape but there is a dimple/impression on the driver seat back and a stain/discoloration on the passenger seat bottom cushion. Can be used with or without heated seats. In great condition and perfect working order. Fits all Boxster / 996 sports and standard seats. 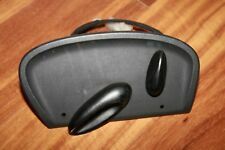 Porsche Boxster / 996 seat recline switch, left driver side, with harness. In great condition and perfect working order. Fits all Boxster / 996 sports and standard seats. For sale is a SEATDESCRIP pulled from a Porshe 911 Carrera 4 Coupe 3.4L VIN#WP0AA2999XS626627. Overall this set is in below average condition. They are not heated. 99-05 911 & 97-04 BOXSTER. Interchanges With. 2003 - 2006 Porsche Cayenne, Volkswagen Tourage and Other Volkswagen's and Audi's. VW AUDI 8EO 881 105R. Porsche Boxster / 996 seat back rest recline motor. For right or left side. In great condition and perfect working order. Fits all Boxster / 996 sports and standard seats. Wir sprechen Porsche! No surprises here! 97 - 05 Porsche 911 Boxster driver passenger seat perforated cushion. For driver or passenger seat. Graphite Gray OEM. Porsche Boxster / 996 seat backrest insert. Black leather. Condition is exactly as pictured. Fits all Boxster and 996 standard seats. Part Number: SG306004. This part generally fits Porsche vehicles and includes models such as Boxster with the trims of Base Convertible 2-Door. The engine types may include 2.5L 2480CC H6 GAS DOHC Naturally Aspirated.